Kolkata : In a setback for the Bharatiya Janata Party, the West Bengal government on Sunday denied permission to hold Yogi Adityanath's rallies in the state, reported news agency ANI. Yogi Adityanath was scheduled to hold public meetings in Balurghat and Raigunj, a part of 200 public meetings the BJP has scheduled ahead of crucial Lok Sabha Polls. 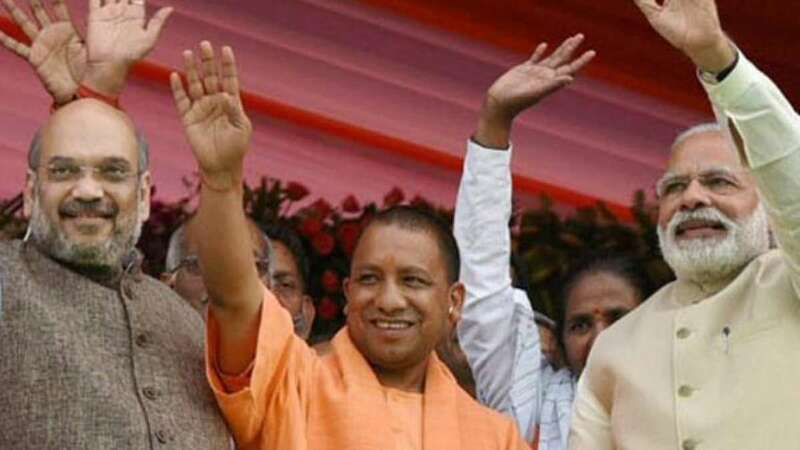 “This is the result of Adityanath’s popularity that Mamata Banerjee has not even allowed us to land the chopper,” Mritunjay Kumar, Information Advisor to Yogi Adityanath told ANI. Reacting to the development, BJP leader Mukul Roy called it “undemocratic attitude of the government. “Ultimately, BJP will get permission at Balurghat. There is a regular airport at Balurghat. What is the harm of giving permission to land helicopter on that regular helipad? So, it is an absolutely undemocratic attitude of the govt of West Bengal,” the former TMC leader told ANI. Prime Minister Narendra Modi had addressed two political rallies in the West Bengal on Saturday.